How Do You Prove My Case? What if I Can't Travel to Your Office? What is Compensation for "Pain and Suffering"? Accidents create chaos. What's left in the aftermath is stress and confusion, which is often made more difficult if you've been injured. It's tough to wrap your head around the right questions to ask in order to protect yourself and your loved ones. 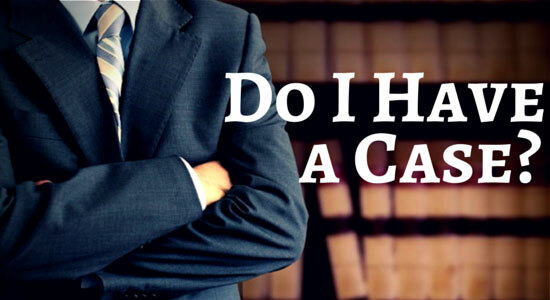 One of your questions may be, "Do I have a case?" Call for a free consultation at 1-866-943-3427 or fill out our free online legal consultation in the top right of this page. We view our clients as our partners. If you don't get paid, then neither do we. We'll cover all your expenses upfront, so you won't have to worry. If we don't get you compensation for your injury, then you don't have to pay us a single penny. $4.5 Million - Our client was a passenger in a van that was hit by a truck. $1.6 Million – Our client was injured after being hit head-on. $1.1 Million – Our client was electrocuted in a work-related accident. For over 35 years, we've helped more than 50,000 injured clients receive the compensation they deserved.